Last year I stumbled upon something on the Internet that I thought would be fun to share. 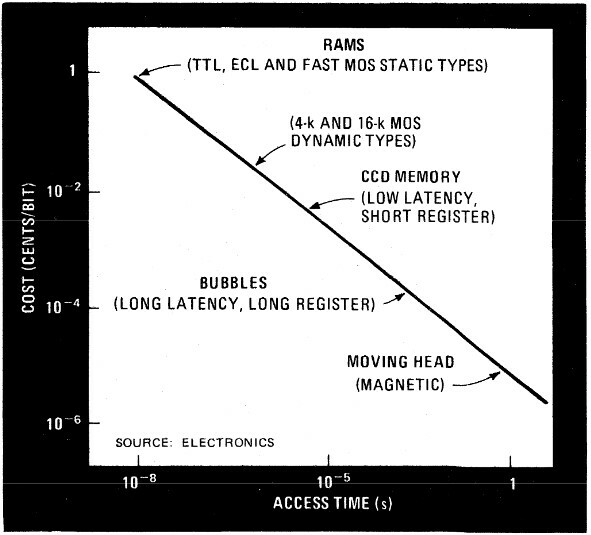 It’s the picture on the left from a 1978 book by Laurence Allman: Memory Design Microcomputers to Mainframes. 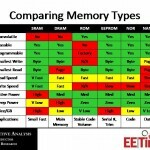 The picture’s not too clear, but it is a predecessor to a graphic of the memory/storage hierarchy that The Memory Guy often uses to explain how various elements (HDD, SSD, DRAM) fit together. 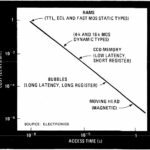 On the horizontal axis is Access Time, which the storage community calls latency. The vertical axis shows cost per bit. The chart uses a log-log format: both the X and Y axes are in orders of magnitude. This allows a straight line to be drawn through the points that represent the various technologies, and prevent most of the technologies from being squeezed into the bottom left corner of the chart. 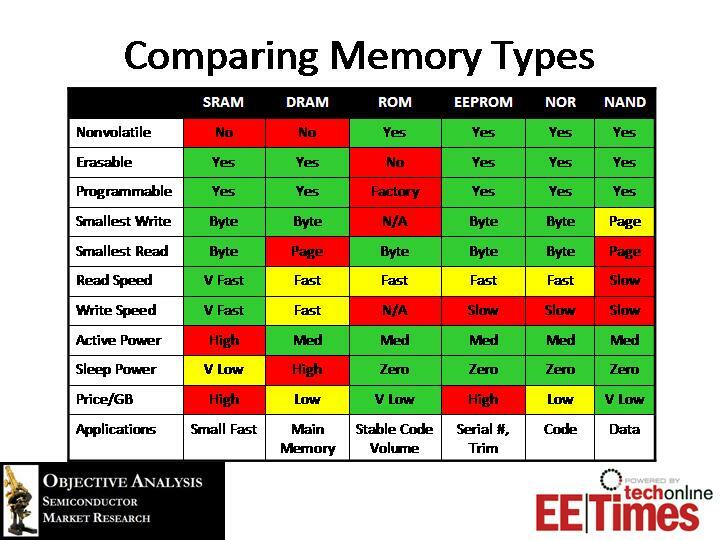 What I find fascinating about this graphic is not only the technologies that it includes but also the way that it’s presented. 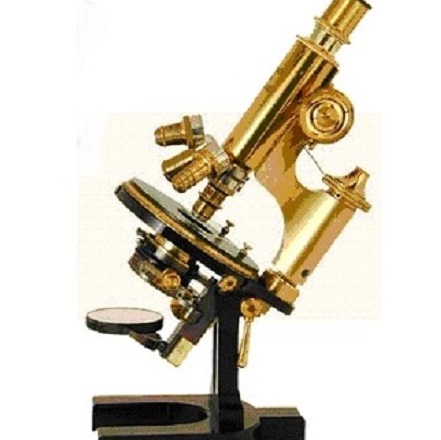 First, let’s talk about the technologies.